The CLUB HOUSE is an event building that can be quickly assembled and disassembled. It is suitable for indoor and outdoor use and can be used anywhere in Germany according to TÜV (German Association for Technical Inspection). Six modified 20ft containers form the ground floor. Above it is the open deck. The laterally protruding 40ft and 30ft containers complete the modern and unusual look. Individually altered and painted in your desired color, the CLUB HOUSE can be customized according to your own ideas. 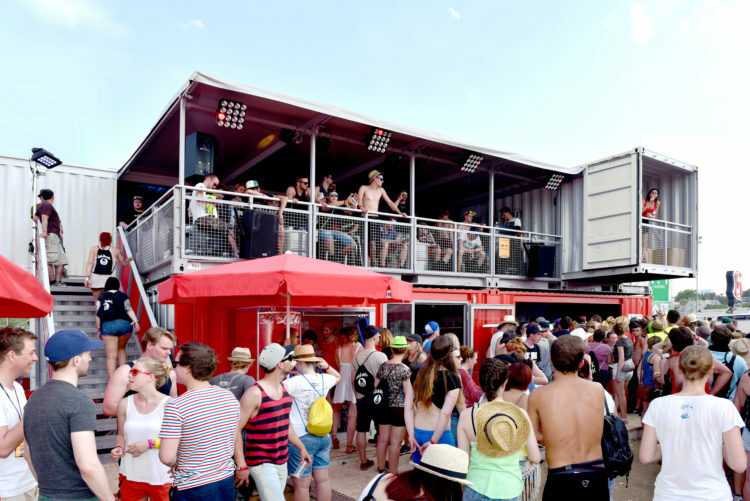 It is certified as a temporary building, fulfills all necessary building regulations for events (statics, fire protection) and can be used immediately nationwide.